Looking down on to the village of Hovingham. 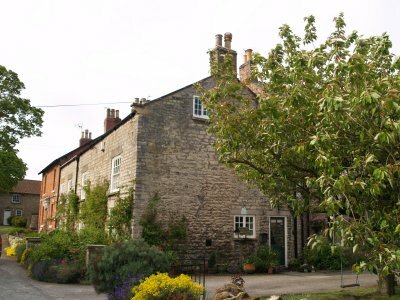 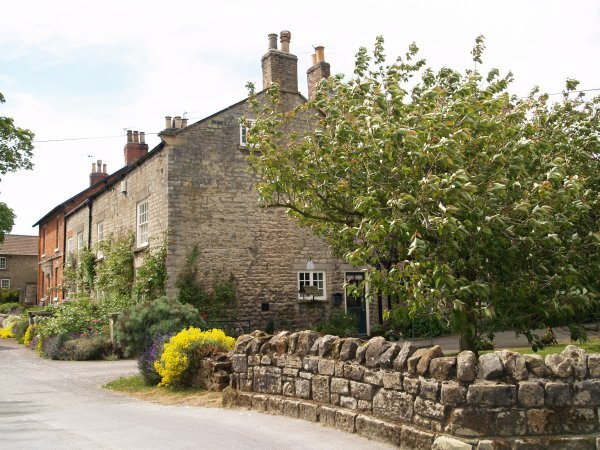 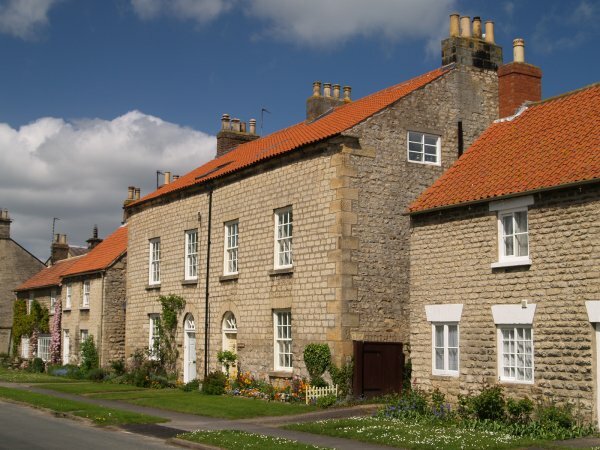 Many attractive stone houses and cottages. 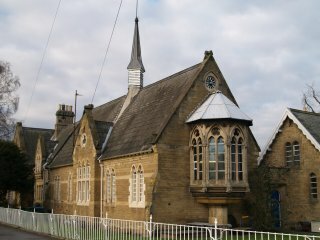 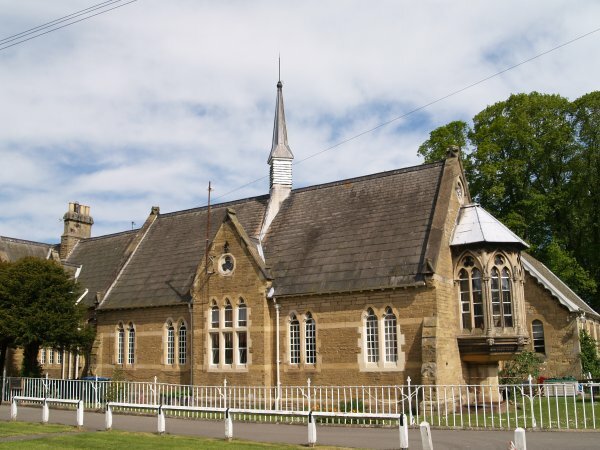 The school with its 'Gothic' polygonal oriel window of 1864. 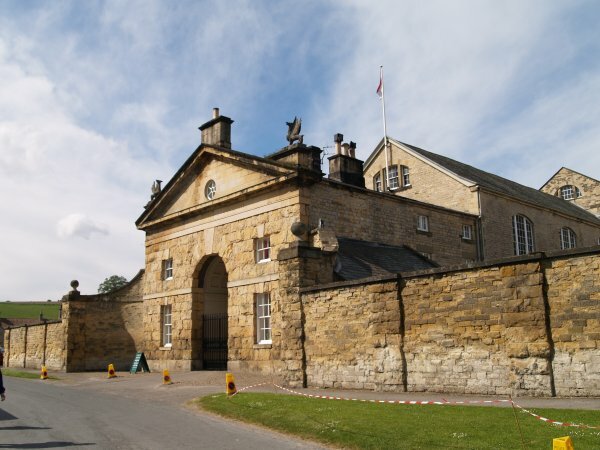 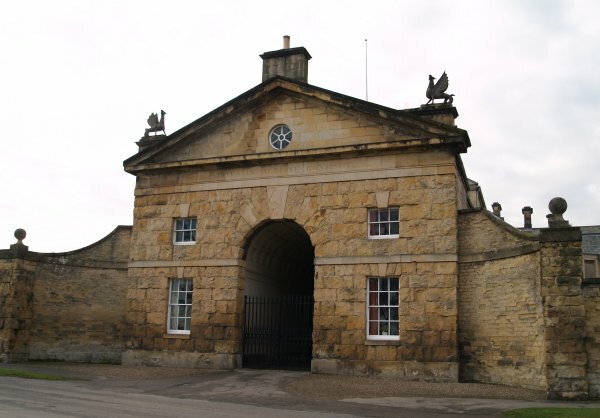 The 'stable' entrance to Hovingham Hall, the house of the Worsley family. 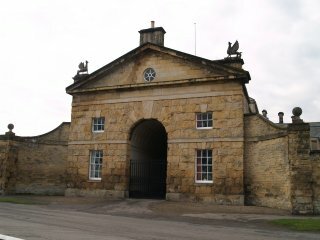 The vaulted archway leads into the Riding School. The top end of the Village Green. 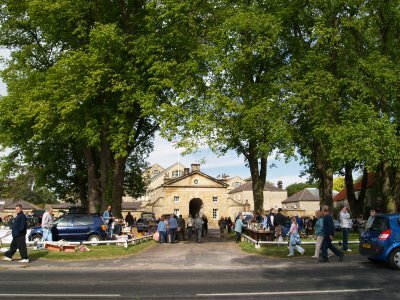 The bottom end of the Village Green, the stable entrance to the Worsley house and the Church. The Worsley Arms (bottom pictures) is a late Georgian building and the Green in front is a popular venue for car-boot sales! 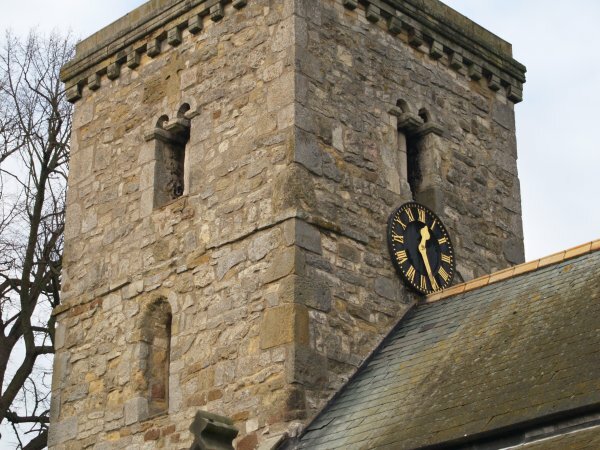 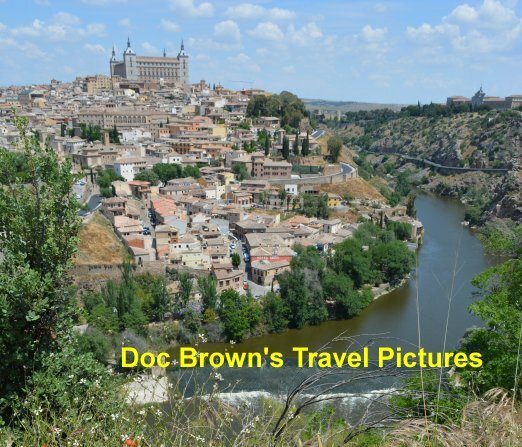 This was much restored and rebuilt by Rhode Hawkins in 1860 except for the sturdy ans splendid west tower which is Anglo-Saxon and unbuttressed - to the credit of the builders! 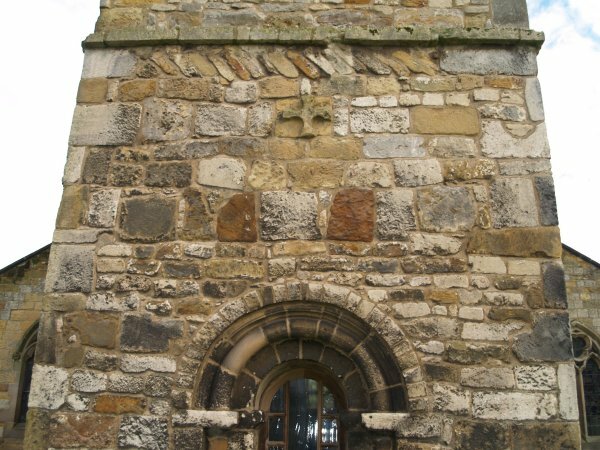 Right: Romanesque style Saxon west doorway at the base of the tower. 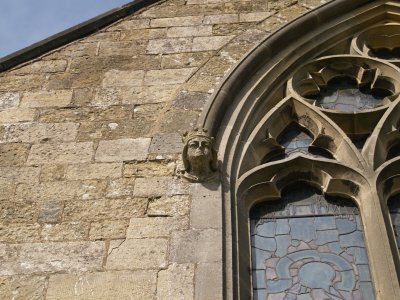 A couple of carved heads from a much earlier period than this Victorian? 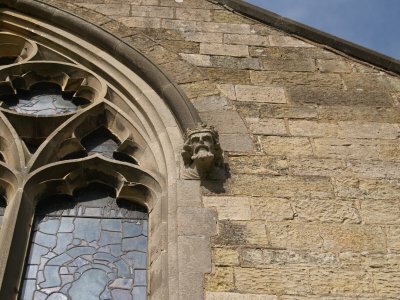 tracery. 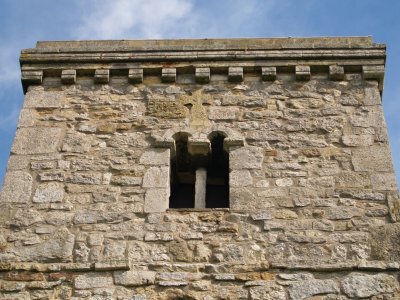 Details of the Saxon tower with its small bell openings. 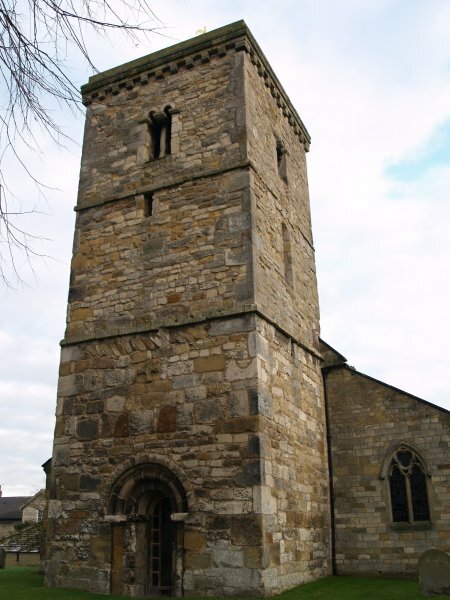 An ancient cross is set into the west wall of the tower. 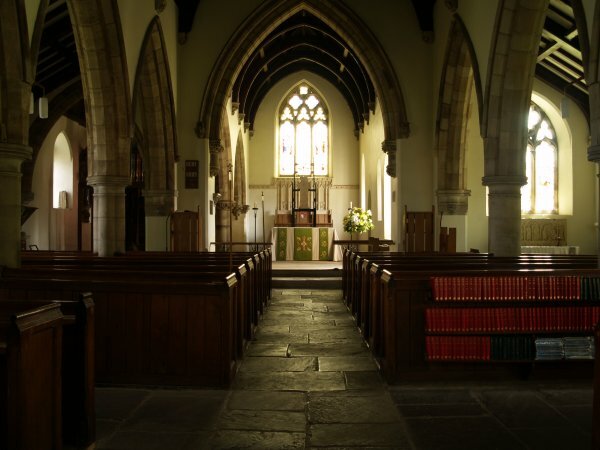 Looking east down the nave. 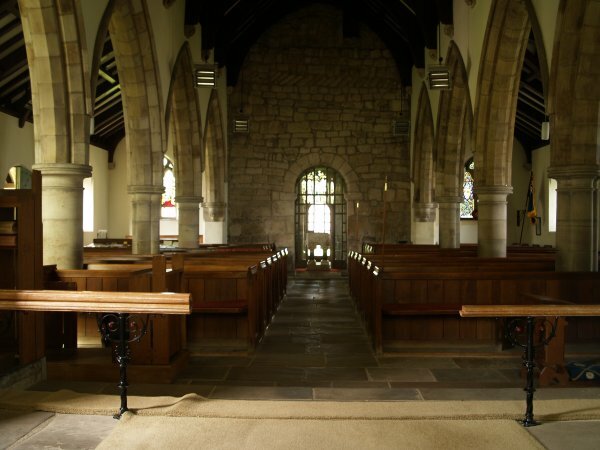 Looking west down the nave to under the tower and the west door. 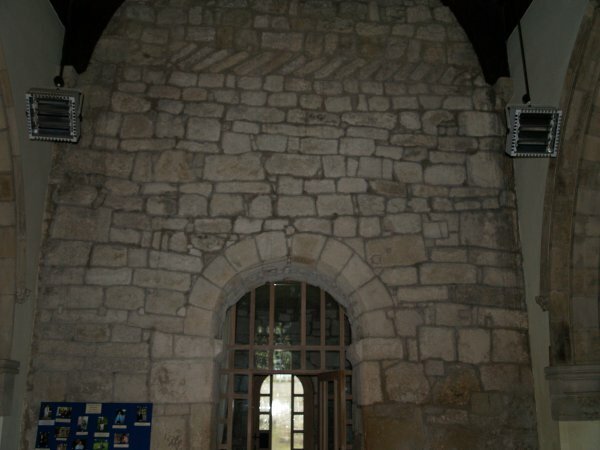 The ancient masonry of the arched doorway and east wall of the west tower. 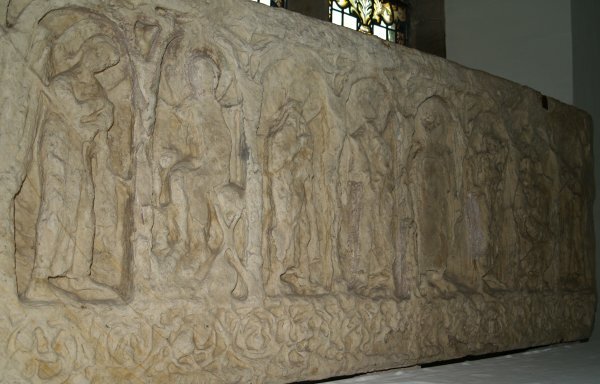 At the east end of the south aisle is a very remarkable Anglo-Saxon sculpture. 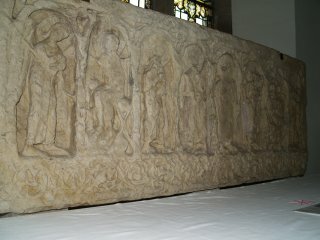 On this slab the first two small figures under the arches represent the annunciation but the rest are of uncertain representation. 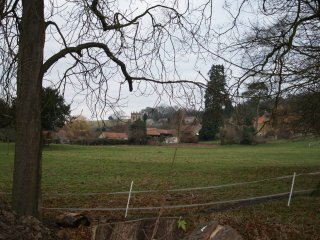 Comparison with other Saxon carved stones suggest a date of ~AD 800. 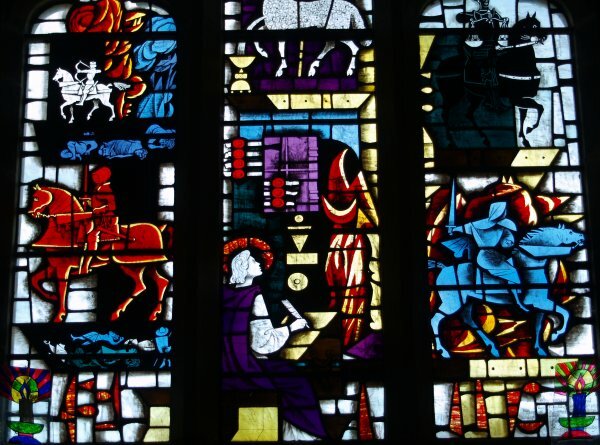 An interesting stained glass window - modern or very modern? 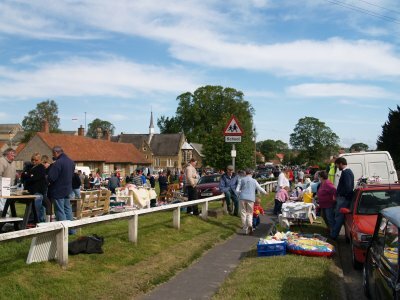 The Hovingham Market is run on the first Saturday from February to December, with extra sessions near Christmas (November 2015 illustrated above). 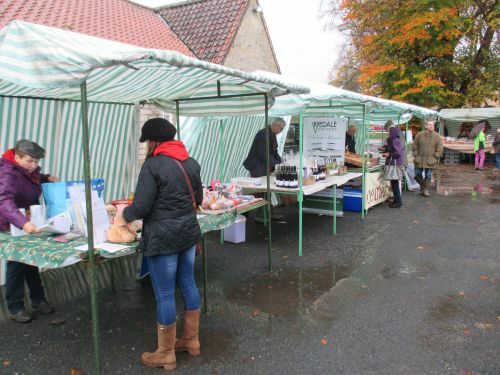 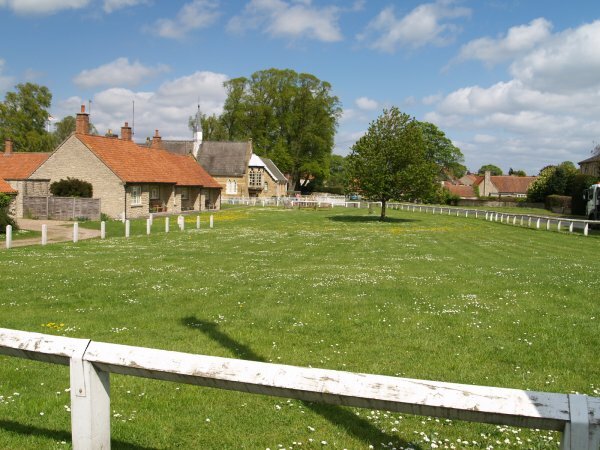 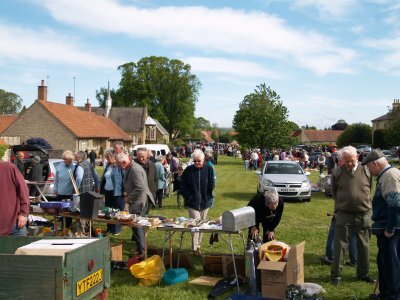 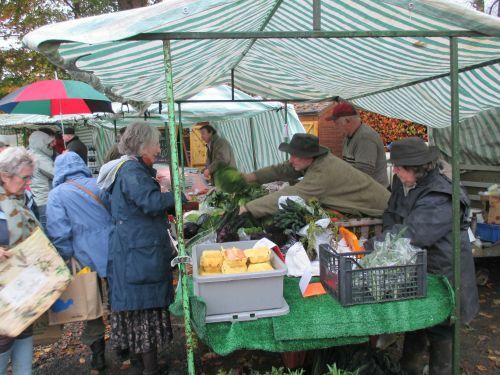 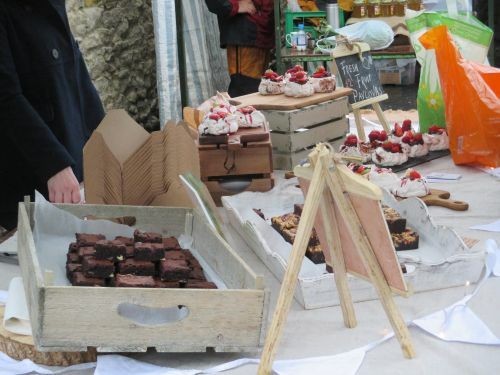 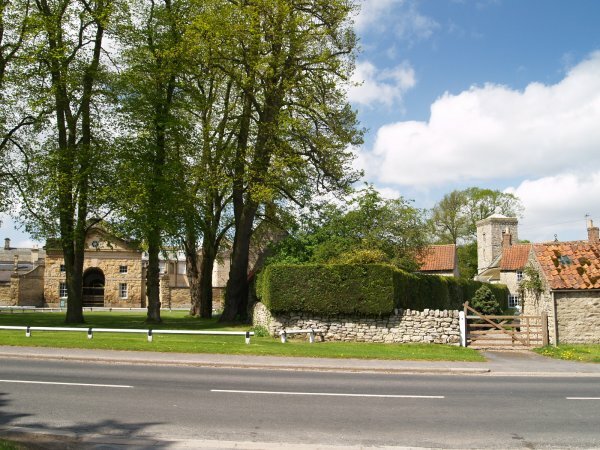 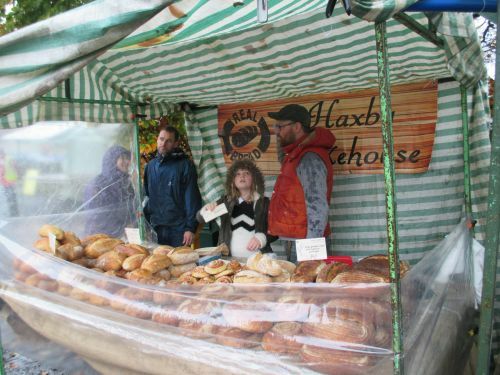 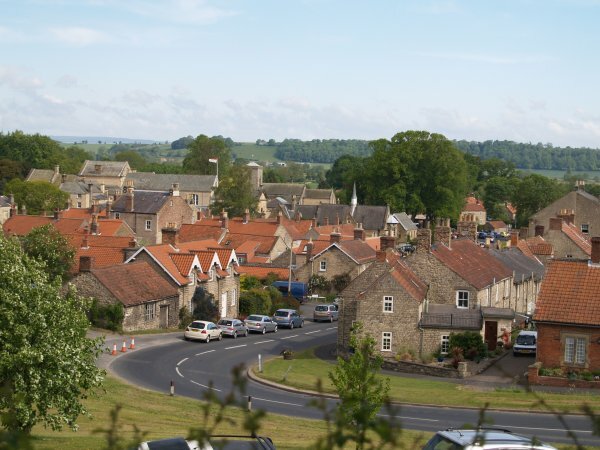 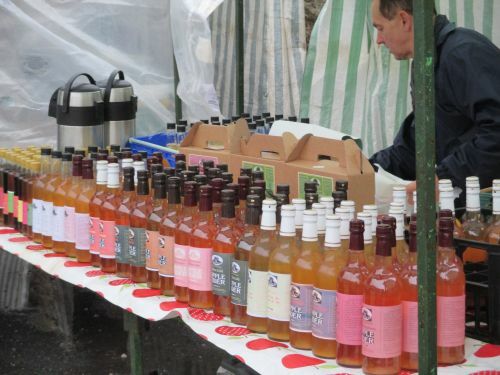 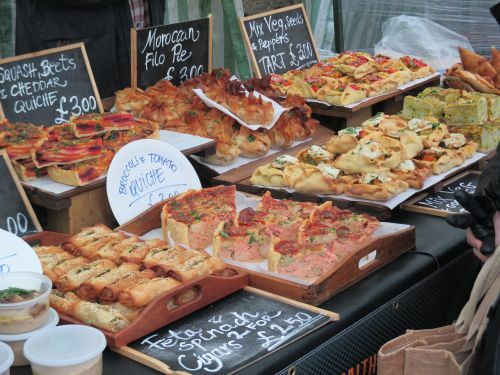 Hovingham Village Market is run by volunteers on a non-for-profit basis promoting a range of local goods including a wide range of foods and crafts. 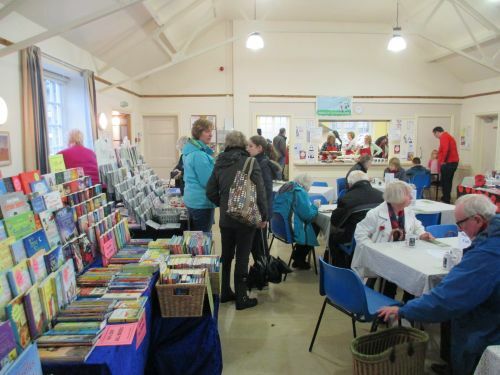 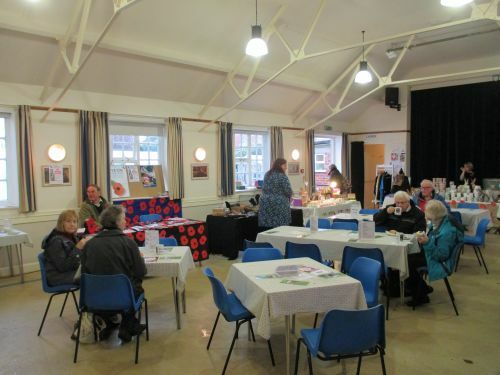 Most stalls are in the open but there is also the community cafe and other stalls inside the village hall. 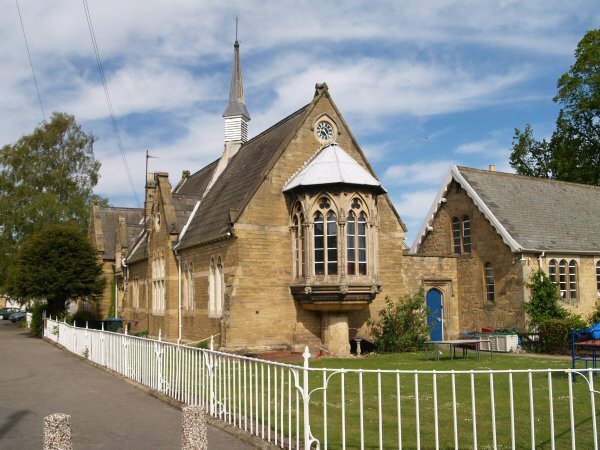 The Malt Shovel is surrounded by buildings linked to the Worsley Estate and a rather curiously designed school. 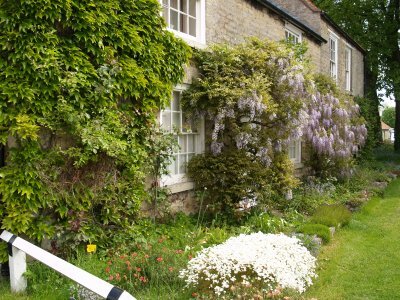 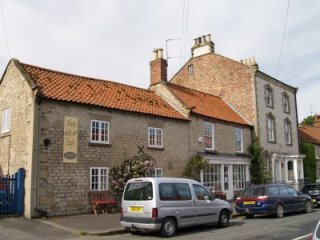 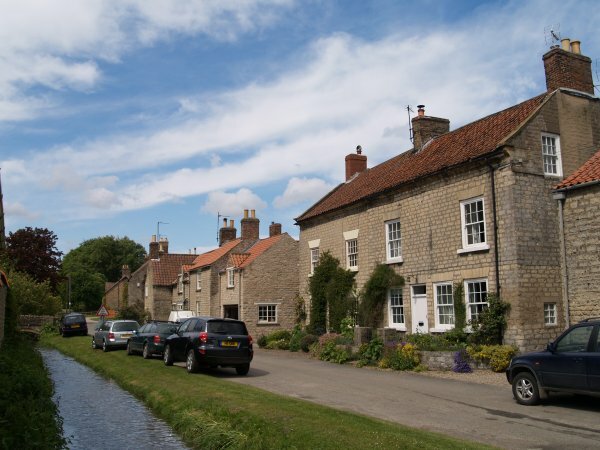 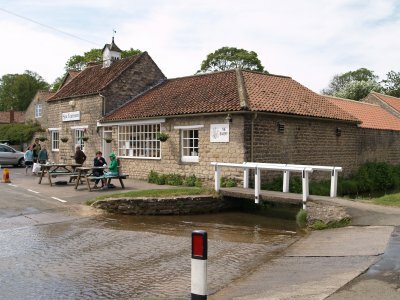 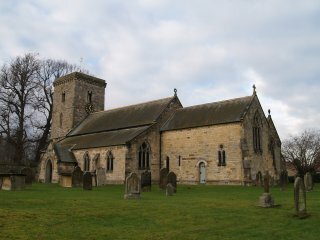 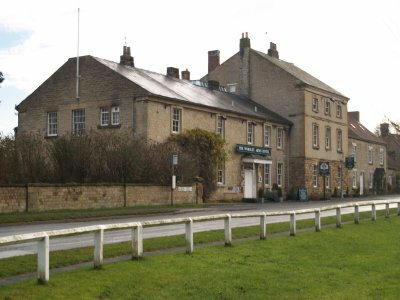 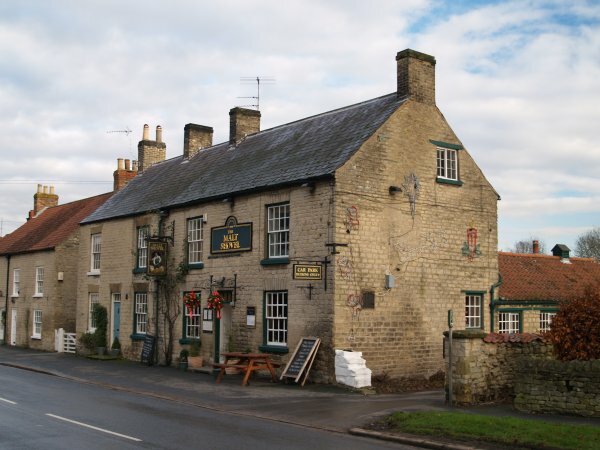 There are lots of places to eat and drink in Hovingham and a few are mentioned and illustrated on this page as you walk up the main street. 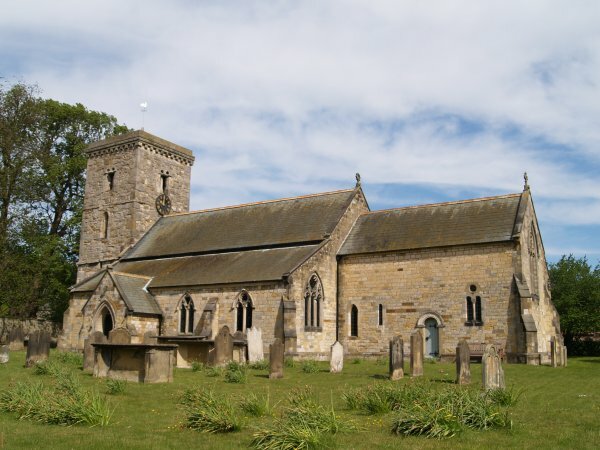 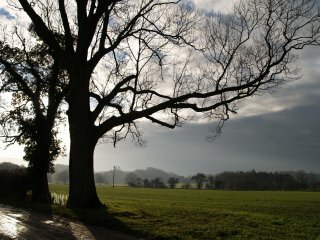 Before, or after, a pint in the Worsley Arms Hotel, you can stroll across the fields to visit the Minster Church in the village of Stonegrave. 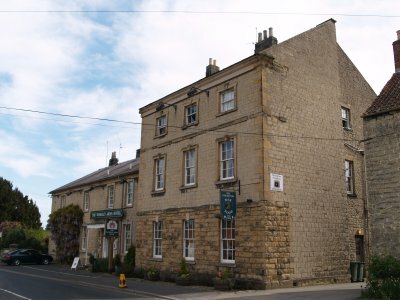 The Worsley Arms Hotel also seems to have a small but permanent art exhibition. 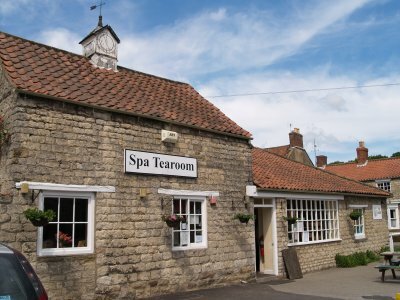 McConnell Thomas Shop, Deli and Web Cafe is suitable place to rest and take a break from a the car-boot sale which seemed to stretch, very appropriately, from here down to the Spa Tearoom and Bakery!